Hi loves! I think I have found my perfect liquid liner! 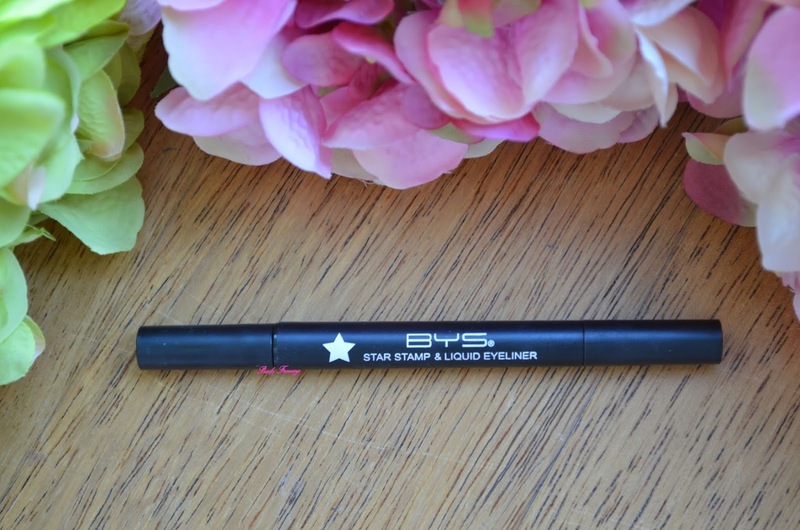 Its BYS Cosmetics Star Stamp & Liquid Eyeliner in shade Black. It has a black matte packaging and is a size of a pen. Its double ended: one end has felt tip liner and the other has a star stamp, which is fun to use time to time. 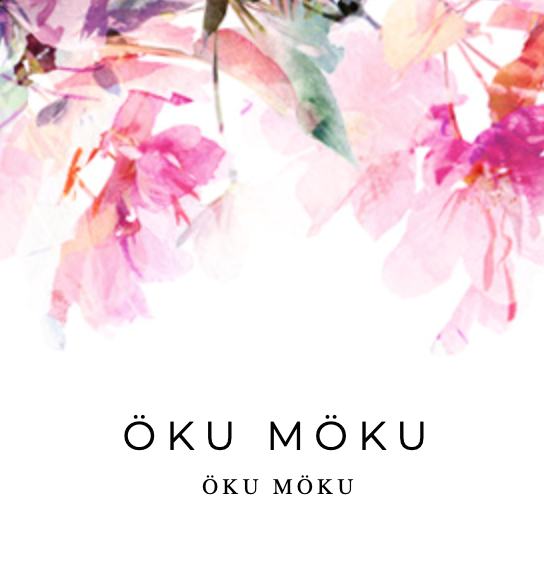 It contains 8ml of product and is around 5 euros. This is nicely pigmented black liner. To compare the blackness with By Terry (review) then that one is more rich black. There is also huge price difference. I love the applicator of the BYS liner way more and I can do star stamps, which is fun. 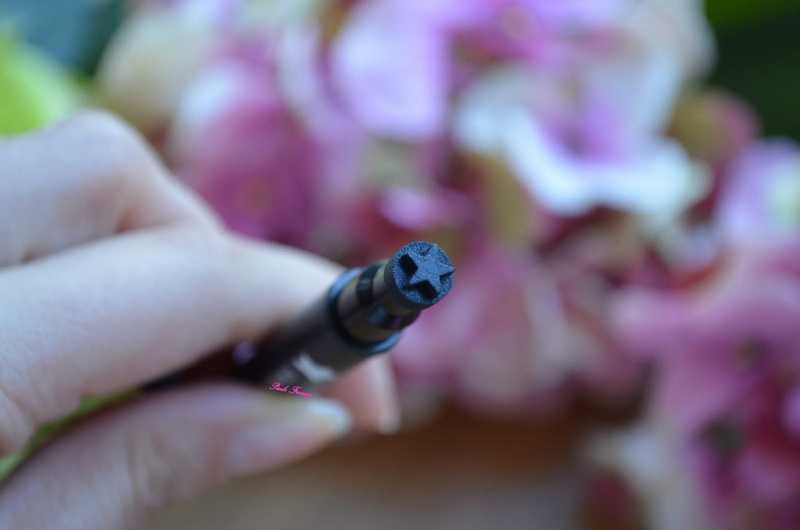 The felt tip of this liner is not stiff and I can easily make a flick. I love wearing winged out liner, so its a must have for me. Reasons why I love this liner so much are that its affordable, doesn't bleed, which so many affordable liners do and it lasts on me all day with out flaking or smudging (I haven't cried when wearing it, so I'm not sure if its water resistant). And the biggest reason is that it doesn't irritate my sensitive eyes. Down below you can see the swatches of the liner and the stamp. I picked it up when I was in Estonia (Kaubamaja) and I'm so glad I did. Black liquid liner is something I use all the time and I don't wanna pay 30 or 50 euros for it. If you are interested in it you can find it here. 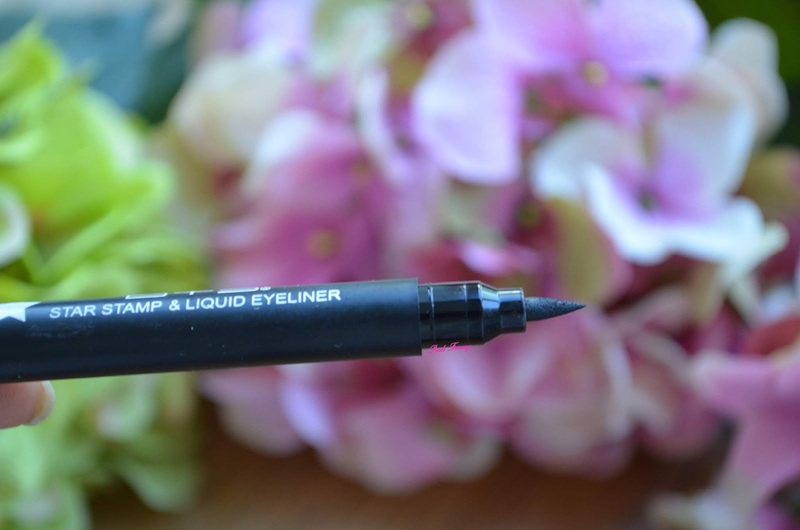 Which is your favorite liquid liner? I always love liquid liner than gel because its easy to apply. The stamp is cute but I wouldnt use it. Sounds like a great eyeliner nonetheless. I haven't tried using eyeliner because I'm scared that it might not look good on me, however I've always wanted to try. I'm sure we have this brand here, I'll try this eyeliner out soon. Thanks for sharing! This is so cool! I love the stamp but I don't think I'd ever use it! 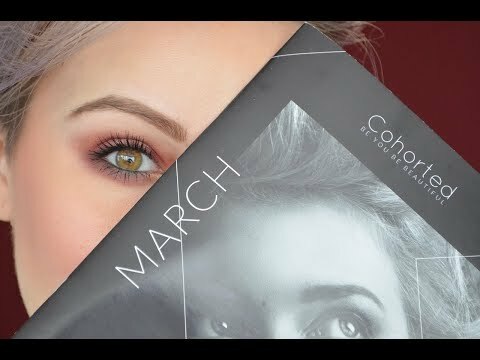 This sounds amazing and I love that it's so budget friendly too. and I don't buy too expensive ones either. 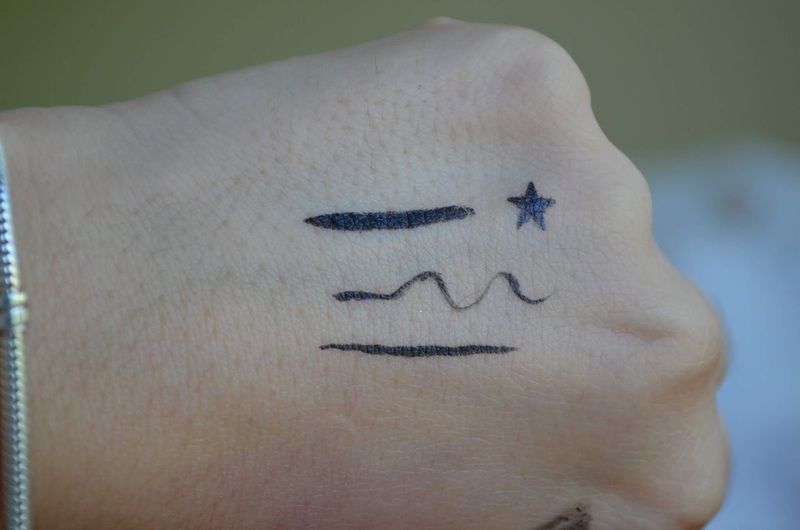 The star stamp is cool. Which is your favorite affordable liner?